Spring is Here! Let Salon Invi Help You Refresh Your Color! With spring finally here, it’s time to refresh your look. Often, women tend to let their hair go just a bit during the winter months because, let’s face it, it’s usually tucked up under a hat to keep us warm anyway. Now that your hair is ready to be showcased, let Salon Invi’s fantastic team of hair stylists touch up that re-growth for you. Head on over to our Andover, MA salon location or check out our website at www.saloninvi.com for more information prior to your visit. While you wait for your appointment, check out these tips on how to keep up your hair color. We answer such popular questions as how often you should touch up your re-growth, and why you need to touch it up that often. How Often Should I Touch Up My Re-Growth? Although many women do tend to let their color grow out a little in the winter, as we mentioned above, most people should have their re-growth touched up every four to six weeks to keep their color looking fresh. Why 4 to 6 Weeks? The primary reason you need your hair done every four to six weeks is because of hair growth patterns. For the average person, hair grows at a rate of around half an inch to an inch a month. Keep in mind that this is just an average number, and your hair may grow slower or faster due to certain circumstances. For example, hair might grow faster if you’re taking vitamins or using a shampoo meant for hair growth. If may grow slower if you have a vitamin or nutrient deficiency for something required for optimal hair growth. What If My Color Grow Out More? What’s the Big Deal? A lot of people question why you need to touch up your re-growth while there is only a small amount of natural color peeking through. What would be the problem with growing it out a little longer before going back? Well, from a scientific point of view, your re-growth develops faster than the rest of your hair due to the heat radiating from your head. This means that if you allowed your hair to grow out too long, there might be color inconsistencies that affect your overall look. Does this apply to highlights also? It depends. 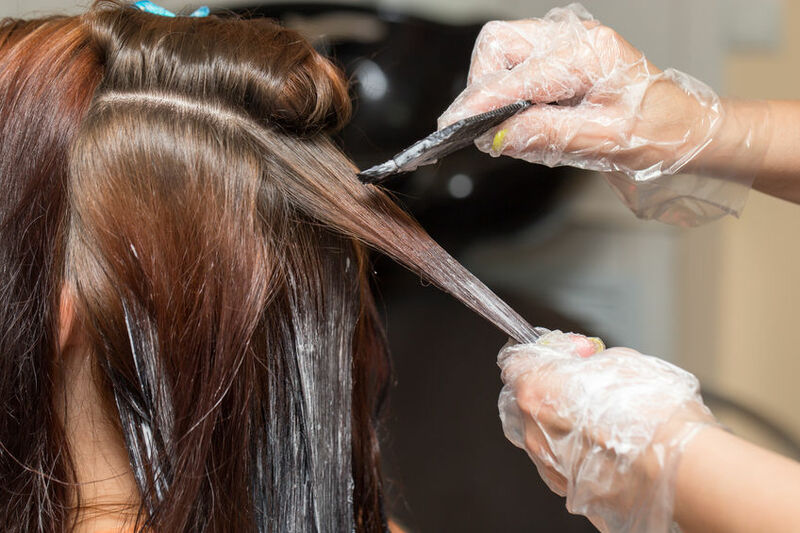 If you have highlights which go all the way to your scalp, you’ll need to get them touched up every four to six weeks just like if you had your entire head permanently colored. Balayage hair highlights, however, don’t always go up to the scalp. In this case, it won’t affect much if you wait an extra week or two because it’s easier for your schedule.